Professor Gail Kinman and Dr Kevin Tech review the research evidence. 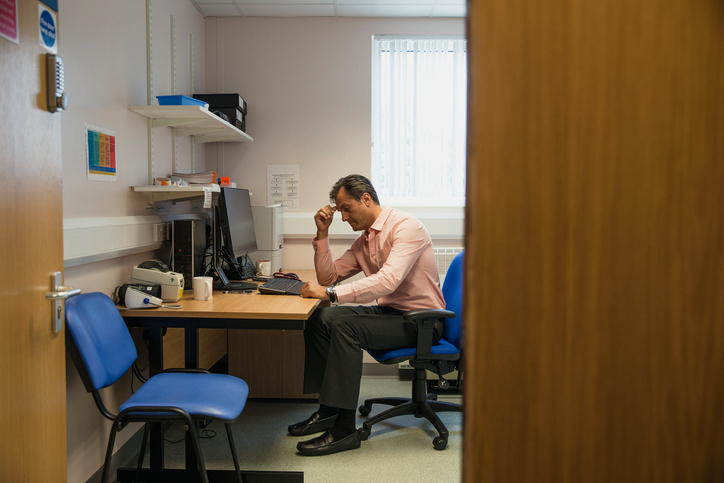 A new report published by the Society of Occupational Medicine and The Louise Tebboth Foundation has detailed evidence that UK doctors are at greater risk of work-related stress, burnout and depression and anxiety than the general population. The incidence of suicide, especially among women doctors and for GPs and trainees, is also comparatively high. What could make a difference to the mental health of UK doctors? A review of the research evidence found that the incidence of mental health problems among doctors is increasing, alongside the growing demands and diminishing resources experienced in the healthcare sector. GPs, trainee and junior doctors appear to be particularly vulnerable, experiencing distress and burnout early in their career. The stigma associated with disclosing mental health problems and ‘a failure to cope’ revealed in the report mean that many doctors are reluctant to seek help as they fear sanctions and even job loss. The report, carried out by Professor Gail Kinman of the University of Bedfordshire and Dr Kevin Teoh of Birkbeck University of London, reviewed research on the mental health of doctors, the factors that increased the risk of poor mental health, and the implications for their own wellbeing and that of their patients. Dr Teoh added: “It is crucial to provide doctors with more support from recruitment to retirement and develop a culture that challenges the mental health stigma and encourages help seeking." Read more from Gail Kinman on burnout and presenteeism.